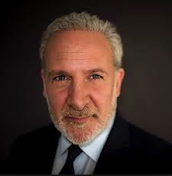 Peter Schiff On The Markets: Will The Stock Market Be Cut In Half Again? Twice in the last 15 years the market has been cut in half. Not just the Nasdaq, but the S&P 500 Index and the Dow Jones Industrials. Twice in the last 15 years! Who says it cannot happen a third time?